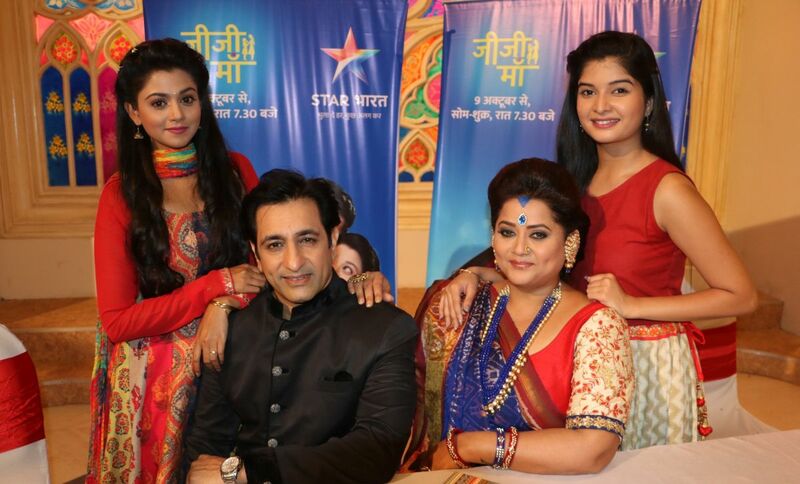 Star Bharat (Life OK- rebranded) narrates a heartfelt story of two Sisters Falguni Purohit and Niyati Purohit who hail from Jaipur in Rajasthan through the serial Jiji Maa. Falguni, the elder sister is an epitome of love and sacrifice who will wholeheartedly stand the test of time laid down by Uttaradevi Rawat, who plays the antagonist of the show. Falguni will be in the line of fire for her little sister Niyati without a blink. A cruel twist of fate tries to challenge this strong and selfless bond of sisterhood, when Uttaradevi defies Falguni to give up on her motherhood for the sake of Sisterhood. Falguni has to make one of the hardest decisions of her life by giving up her chance of being a mother for her sister. Will Falguni be ready for this ultimate sacrifice? Tune in to Star Bharat starting 9th October at 7:30 pm to know more. Jiji Maa is written by famous Bollywood writer Mayur Puri (Films: Om Shanti Om and Happy New Year) and directed by Rohit Raj Goyal (Television show Diya Aur Baati Hum). Popular TV actors Pallavi Pradhan as Uttaradevi Rawat and Rajeev Paul as Jayant Rawat will be seen in crucial roles in the show. The show ensemble also comprises of actors Dishank Arora as Suyash Rawat and Shubhashish Jha as Vidhan Rawat.